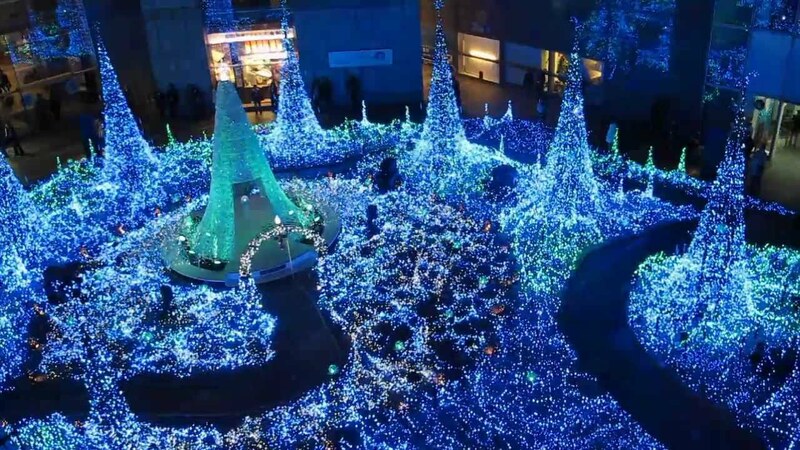 Countless illumination hot spots are scattered around both Tokyo and Yokohama – two of the most densely populated cities in Japan. Recommendations for a perfect night out! Colorful and beaming with over 6,500 LEDs, this Christmas tree has become a seasonal landmark in Ginza, a luxurious shopping town in Tokyo. ※January 1st and 2nd, 2015 will be close. 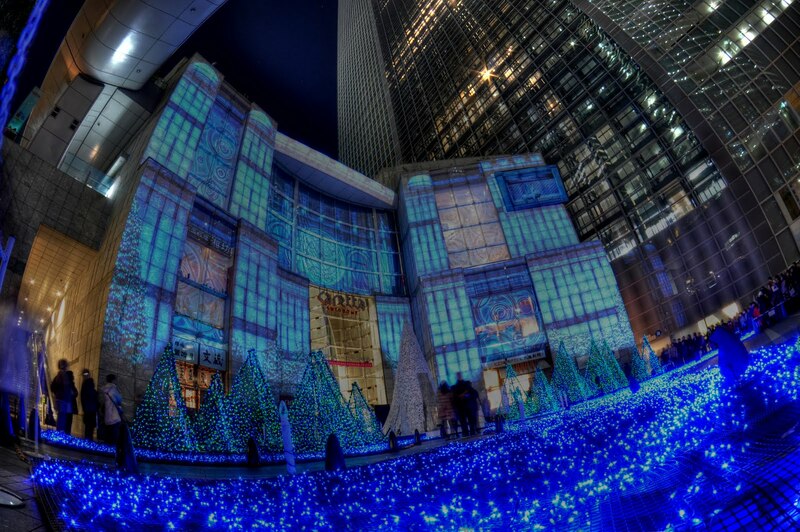 Approximately 250,000 blue LED lights are being used for the illumination, creating a magical atmosphere in the skyscraper complex, which provides fine dining, art facilities, etc. A 15-meter long, 360-degree illuminated cloister is leading you into the “Valley of Light”. 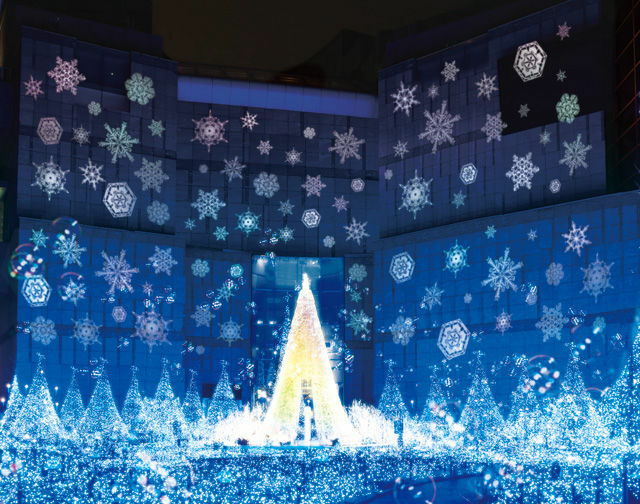 This popular illumination event hosted by one of Tokyo’s major shopping/dining/art complexes had 5 million visitors last year. 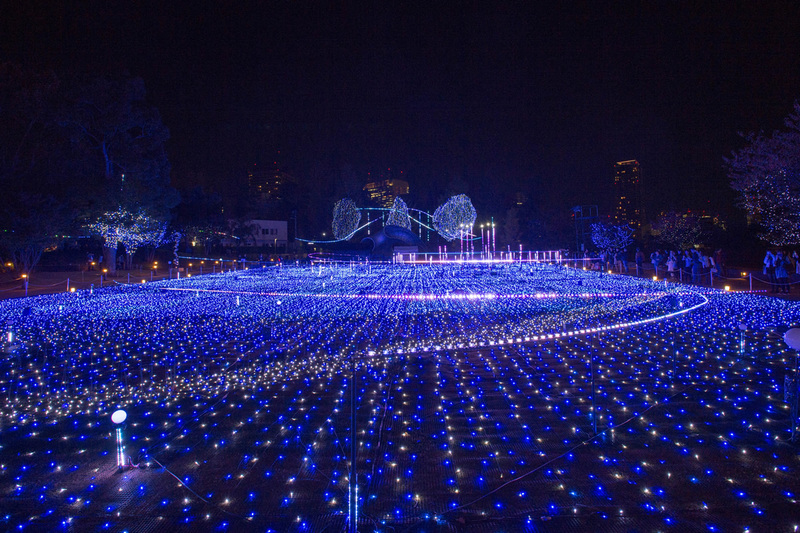 The popular hotspot, “Starlight Garden” is a 2000 square meter glimmering lawn. 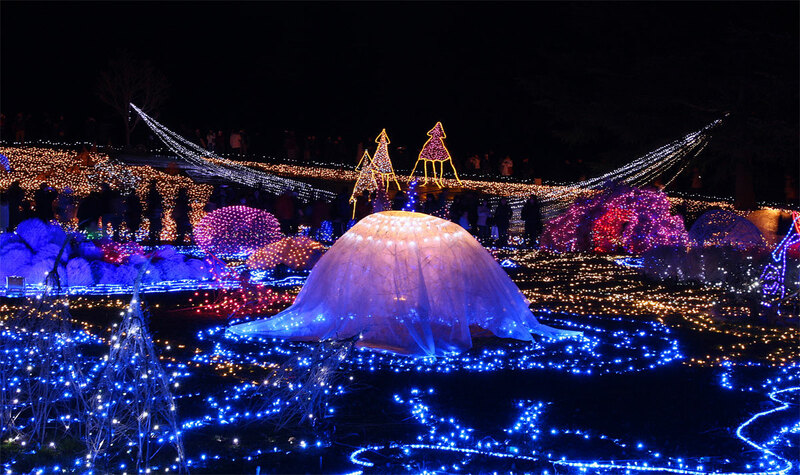 “Sstick illumination”, an illumination device is being used for the first time in Japan, creates magical movements with light. Baccarat, a French crystal manufacturer found in 1764, is celebrating its 250th anniversary together with the Yebisu Garden Place, a commercial complex with restaurants, a museum, and a hotel, etc., celebrating its 20th anniversary; in a wondrous illumination event. 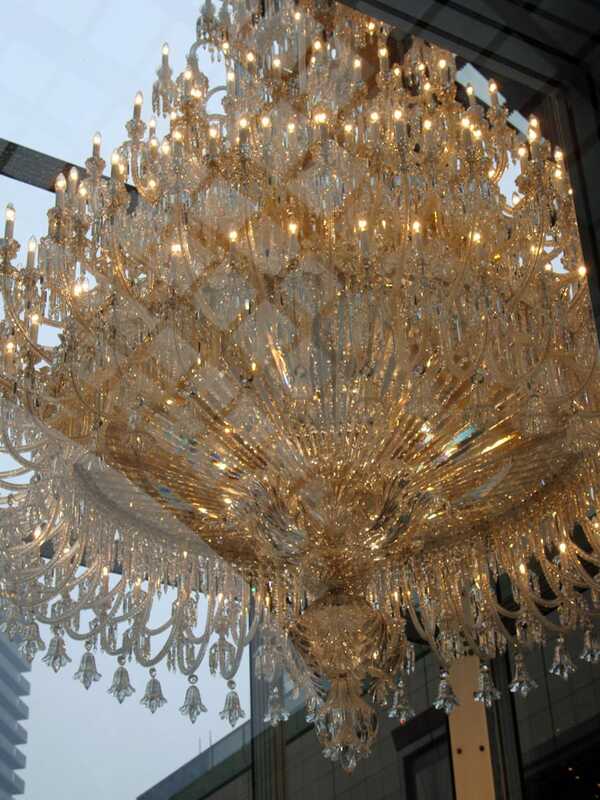 The largest ever crystal chandelier in Baccarat’s history is being illuminated with 410 lights at Yebisu Garden Place. The magnificent chandelier made up of 26,471 pieces of crystals is displayed at the gorgeously illuminated (100,000 lights) complex. This place is definitely one of the most romantic destination for a couples craving for romantic selfies in Tokyo. 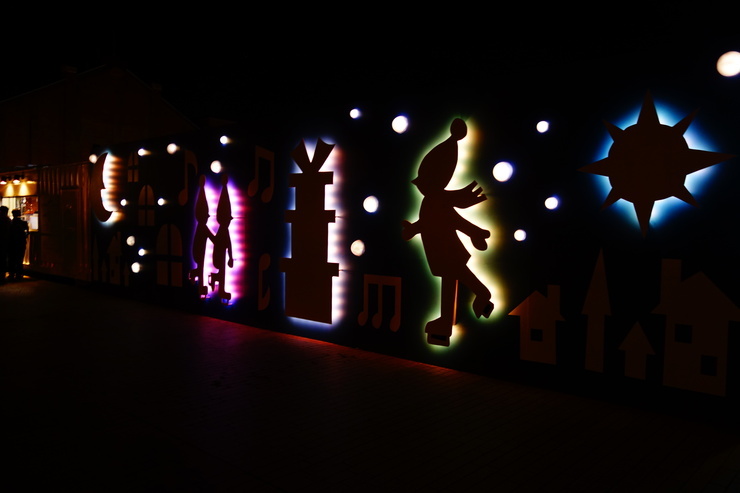 Families are also in for a cozy feeling at this park illuminated into a charming world and featuring a variety of outdoor activities. Want to watch the gleaming lights from above? Get on to the “Fantasy Gondola” to glimpse from 12 m above the ground. Moreover, the magical laser light shows and other attractions will keep your spirits high until the park closes. A unique outdoor ice skating rink is set up at Yokohama Red Brick Warehouse just at the onset of winter. Every year innumerable visitors enjoy the thrill at the bayside ice skating rink. Ice skating lessons for kids are also available. Based on the concept of the above event “Art Rink”, an ice rink is designed to give the visitors a view of contemporary art while they skate. 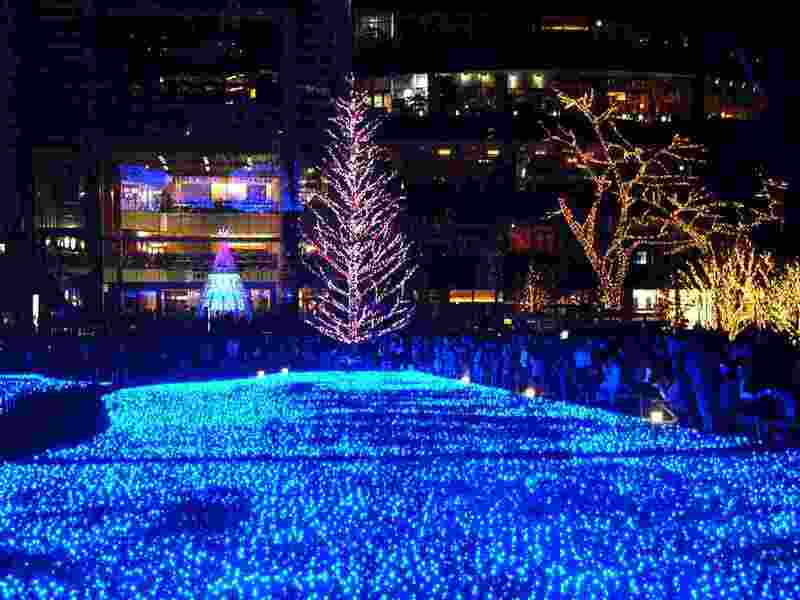 ※Trees in DOCK YARD GARDEN will be illuminated from Nov.7, 2014 to Feb.28, 2015. Walt Disney Japan is organizing Japan’s 1st Christmas campaign featuring popular stories and characters from Disney, Disney/PIXAR, STAR WARS, and MARVEL. 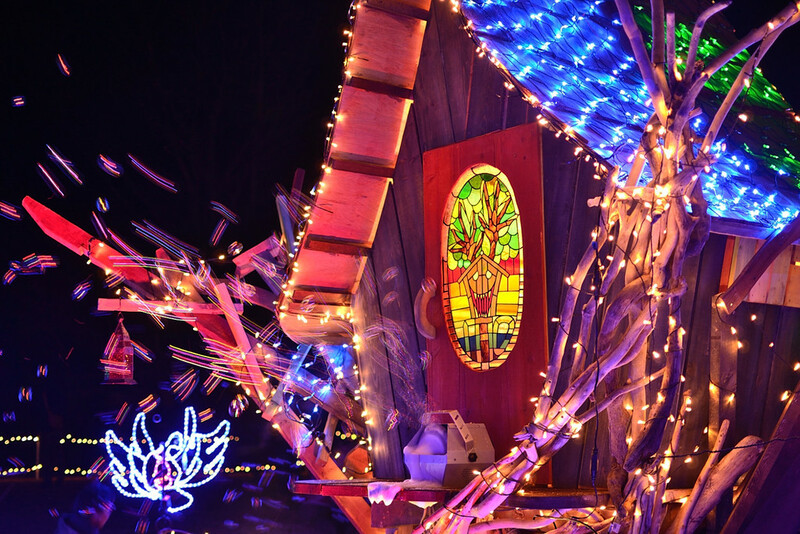 A dazzling Christmas tree has been designed based on Cinderella’s tale. 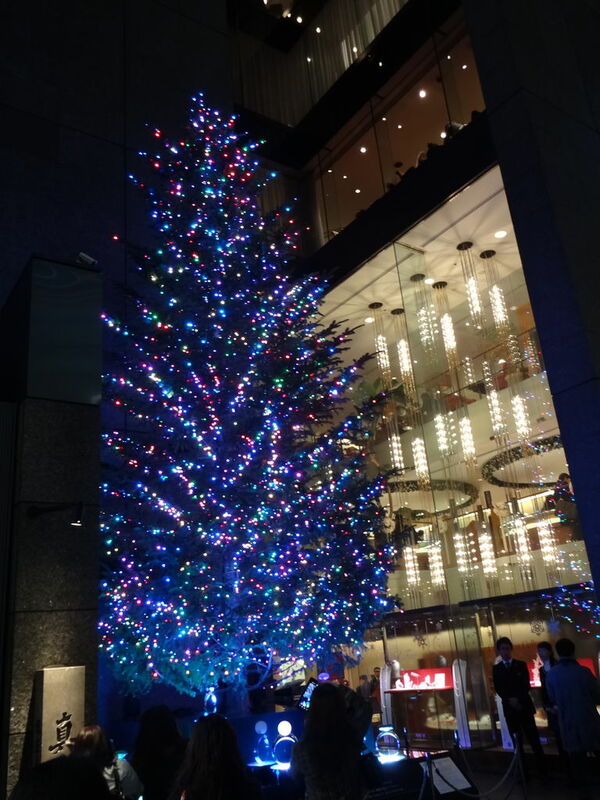 The tree beautifully decorated with Swarovski crystals is displayed at Yokohama Landmark Tower. At DOCK YARD GARDEN in Yokohama Landmark Plaza, there is a projection mapping of some of the best scenes from STAR WARS. Don’t miss it! Already been to Tokyo and Yokohama? Don’t worry, we have more for you! Check out the third part of our Romantic Date Night series!